“The Good Doctor” just finished its first season as ABC’s most-watched freshman drama in 13 years. 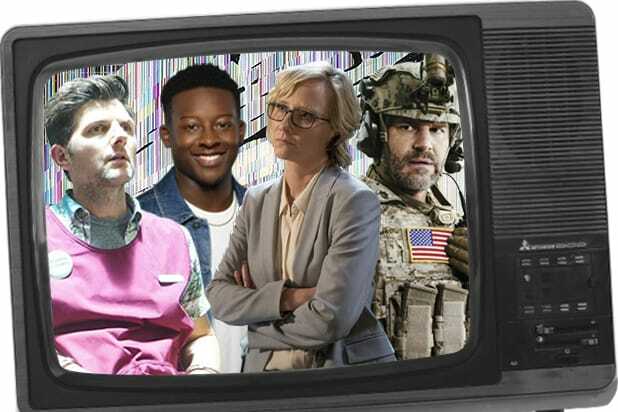 And although its overall audience tally grew week to week, the Freddie Highmore series couldn’t carry its home network above NBC’s Monday primetime averages. Speaking of NBC, a two-hour “The Voice” slipped 13 percent from last week in the key ratings demographic. Still, that singing competition bested ABC’s “American Idol” head-to-head again. NBC was first in ratings with a 1.7 rating/7 share in the advertiser-coveted 18-49 demographic and in total viewers with an average of 8.3 million, according to preliminary numbers. “The Voice” at 8 p.m. landed a 2.0/8 and 10.4 million viewers. At 10, “Good Girls” got a 1.0/4 and 4.3 million viewers. ABC was second in ratings with a 1.6/7 and in viewers with 8.2 million. “American Idol” at 8 put up a 1.6/6 and 7.7 million viewers. 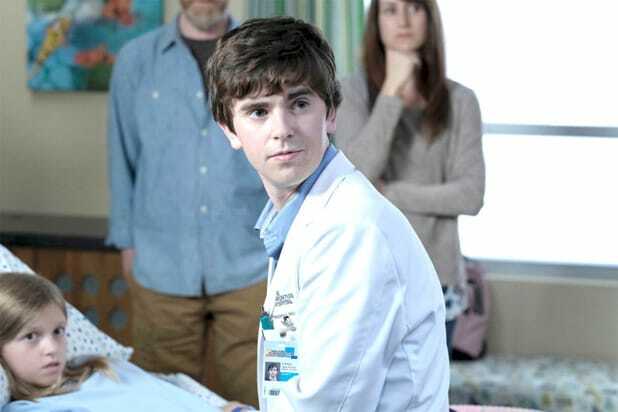 “The Good Doctor” at 10 posted a 1.6/7 and 9.4 million viewers. CBS and Fox tied for third in ratings, both with a 0.8/3. CBS was third in total views with 4.9 million, Fox was fourth with 3.7 million. For CBS, “Kevin Can Wait” at 8 had a 0.9/4 and 5.7 million viewers. At 8:30, “Man With a Plan” got a 0.9/3 and 5.4 million viewers. “Superior Donuts” at 9 received a 0.8/3 and 4.6 million viewers. At 9:30, “Living Biblically” managed a 0.7/3 and 4 million viewers. At 10, “Scorpion” finished primetime to a 0.8/3 and 4.8 million viewers. For Fox, “Lucifer” at 8 had a 0.8/3 and 3.2 million viewers. At 9, “The Resident” got a 0.9/3 and 4.2 million viewers. The CW was seventh in ratings with a 0.3/1 and in viewers with 1 million. “DC’s Legends of Tomorrow” at 8 received a 0.4/2 and 1.3 million viewers. At 9, “iZombie” settled for a 0.2/1 and 714,000 viewers.